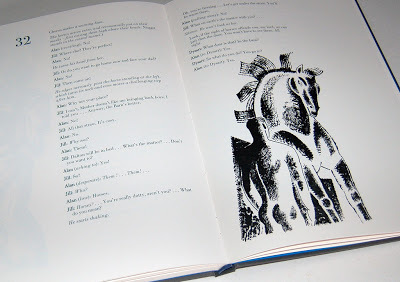 More than thirty years later those words could be written about Clive Hicks-Jenkins’ imagery which now accompanies the text. 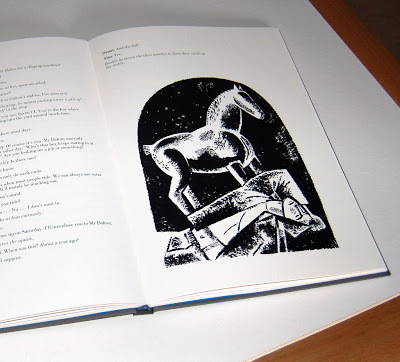 He wanted to create his own universe for this new expression of Shaffer’s story. 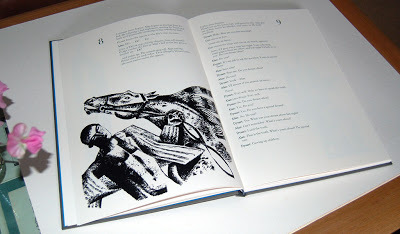 ‘Meditations and inventions, rather than recollections of past productions’ were his aim. 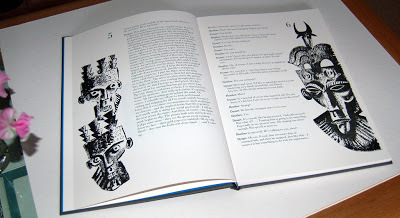 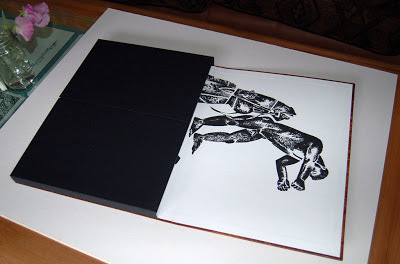 For the special edition, the book (within its chemise) is as described above but it is housed in a drop-back box together with an articulated maquette such as the artist is wont to make for himself to provide a ‘model’ for painting or drawing. 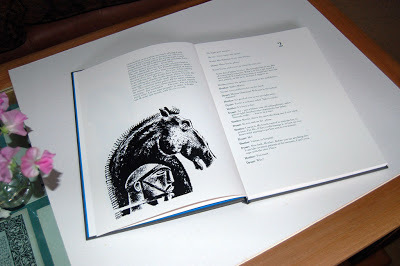 In addition to the one model that has been made up, there is another copy on two sheets, as designed, which could also be made up into a second maquette. 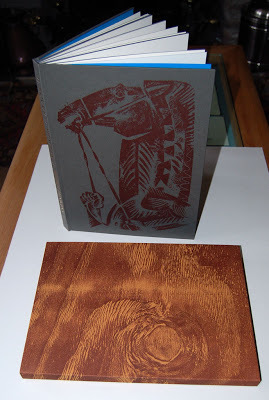 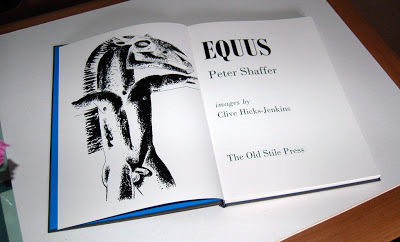 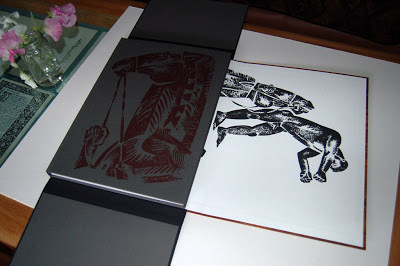 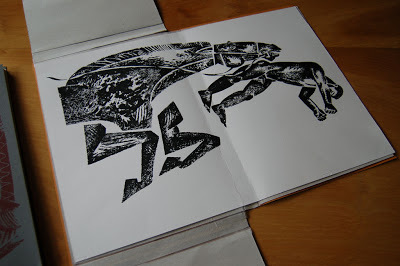 The artist has also provided an original drawing for each copy (one of his studies for an image in the book) together with an original linocut which was made, especially for this edition, on an EQUUS theme. 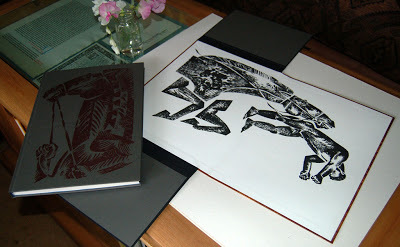 Both of these are signed by the artist.